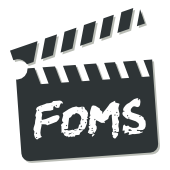 In it's 12th year, FOMS hit an amazing high with 85 video engineers across open source video framework developers, browser video engineers, Web media engineers and media standards editors. Many new issues were discussed - check out the notes associated to the sessions in the Schedule. FOMS is the Foundations of Open Media Standards and Software developer workshop, run in un-conference style with organized sessions determined by the participants. There are also a couple of travel sponsorships available for open source media software developers. Please email the organizers for more information.